It was a little while before Australian Rules football would appear on her sporting radar. She was not alone in questioning the need four posts instead of two, playing a sport on an oval instead of a rectangle and passing the ball funny (handpassing). 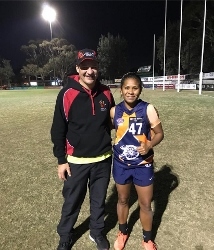 So began a love affair with Australian Rules football that has seen Matelita head from Fiji to Melbourne to try her hand at the game at the highest level for women – the AFLW. 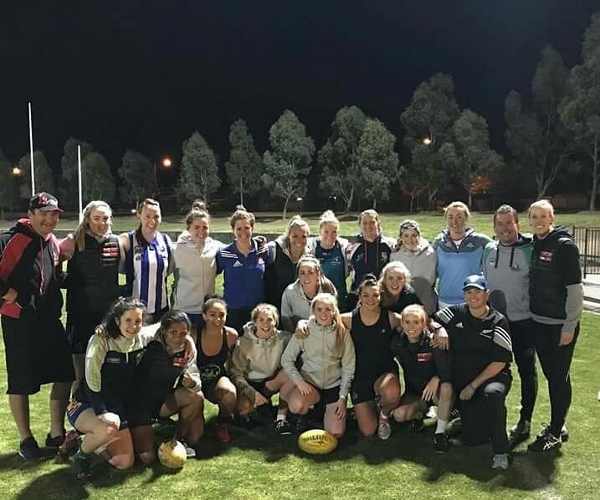 Inspired heavily by her hero, Western Bulldogs full-back Lauren Spark – who saw her own journey to the big time take her via the Wimbledon Hawks in the AFL London women’s league - Matelita knew that there would be sacrifices needed to pursue her own dream. There is no doubt that Matelita will return to Australia as a part of the next IC20 in Melbourne as a key part of the Fijian national women’s team. Until then, she is honing her own skills back home but also sharing her CrossCoders experience and skills with everyone from kids to more experienced teammates. Picture: Matelita (bottom, second from left) with fellow CrossCoders last year.